Shares of TTK Prestige surged 5 per cent to Rs 8,181 on the BSE in early morning trade after the housware company announced a maiden bonus issue plan. The company's board of directors is scheduled to meet on Friday, March 29, 2019, to recommend the issuance of bonus shares. In the past six months, the stock has outperformed the market by surging 30 per cent, as compared to 3 per cent rise in the S&P BSE Sensex. It touched an all-time high of Rs 9,290 on March 6, 2019, on the BSE in intra-day trade. 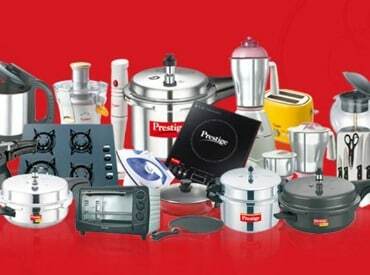 TTK Prestige had reported steady growth in earnings with 22 per cent year-on-year (YoY) rise in adjusted net profit at Rs 14.65 crore for nine months, ended December 2018 (9MFY19). Net sales grew 16 per cent at Rs 1,523 crore on YoY basis. Ebitda (earnings before interest, tax, depreciation and amortization) margin improved 50bps at 14.6 per cent from 14.1 per cent. According to analysts at ICICI Securities, rural penetration continued to gain momentum, driven by government initiatives like Ujjwala Yojana scheme (8 crore new LPG gas connections). While urban markets are growing at a tepid pace of single-digit growth, rural markets are growing at a much swifter pace of high double-digit growth. Currently, mere 5 per cent of revenues are derived from rural markets. The management believes there is enough scope for enhancing the share in the next two to three years. “The company continues to gain market share across product categories and hopes to maintain strong revenue growth momentum with a 14-15 per cent Ebitda margin trajectory on the back of distribution expansion (deeper rural penetration) and product expansion (cleaning solutions, water purifiers, etc),” analysts at JM Financial said in company update. “While the company registered growth across product categories and markets, it pointed out that rural continues to deliver strong growth as compared to urban (high double-digit growth in urban vs low single-digit growth in urban), on the back of Ujjwala scheme (cooker/cookware), company’s focus on distribution expansion and product availability,” the brokerage firm said. The stock, however, is trading well above the target price of Rs 7,800 per share. At 10:23 am, TTK Prestige was trading 4.6 per cent higher at Rs 8,147 on the BSE, as compared to 0.75 per cent decline in the Sensex. A combined 11,858 equity shares have changed hands on the counter on the NSE and BSE so far.